My English Toy Terriers have really enjoyed Akela wet and dry food. Good choice of flavours available and great to know that it's high quality too. Will definitely continue to order from them. In the process of introducing Suffolk Duck medium paws to our 6 month Sprocker. So far so good and big improvement in bowel movements and a slightly calmer dog. Just need to juggle the final amounts for a fast growing dog. We moved our 6 month old lab onto Akela and he loves it. In fact I even use the kibbles as training treats for another dog I sit because she thinks it's great too. Considering the price of some "bigger brands" that often contain a lot of horrible ingredients, Akela is great value too. I have a bearded collie who is very picky over his food - he either doesn't like it or it upsets his stomach. I tried akela 80% chicken, duck & turkey as a treat and he absolutely loves it and with it being 80% meat I feel it is doing him good. I found it very easy to order and delivery was very prompt. Would highly recommend. 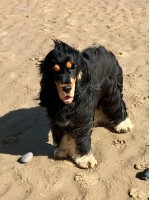 Typically I feed my Cocker Spaniel a mix of wet and dry dog food and have used products from many of the so called "household name" pet food producers. More recently, I discovered Akela and ordered supplies of both their wet and dry dog foods. Delivered the next working day, these were of the highest quality - and are thoroughly enjoyed by my dog, who can be a somewhat fussy eaer! 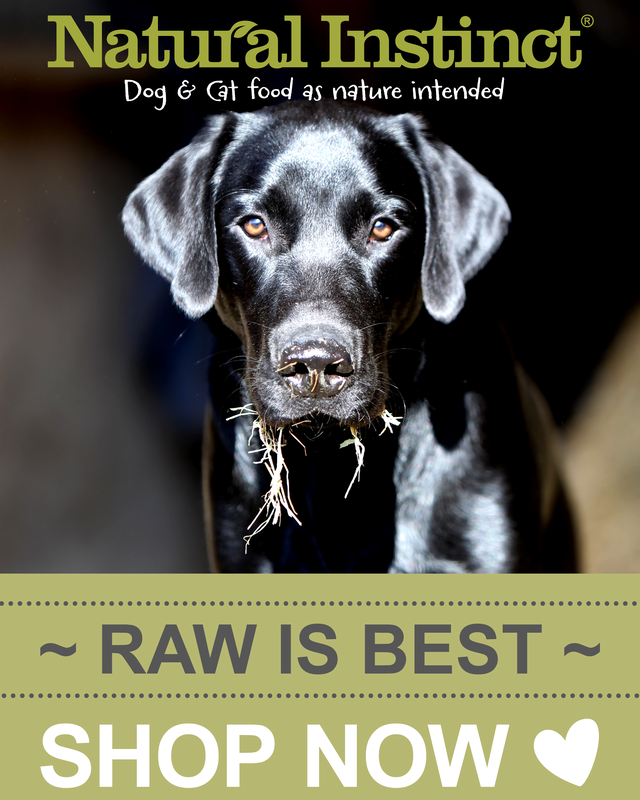 I unreservedly recommend Akela to anyone looking for "proper" non-raw dog food comprising the best possible ingredients, with no grains, fillers or other "junk" products so regularly used by other producers. Our rescued GDS came to us with chronic upset tum which lasted 3-4 weeks. We kept her on chicken and rice but that didn't help, we tried Wainwrights which improved things but the "end result" was a bit like Mr Whippy Icecream! Then we tried Akela, it agreed with her straight away, her coat improved, her bowels were perfect and she had lots more energy. She is now on a mix and has a lot of raw food too, but I would not hesitate to recommend Akela to anyone. I wanted to feed my puppies a healthy feed, but many work out to be so expensive - especially with two rapidly growing puppies to feed. I have not looked back since finding Akela - the dogs absolutely love the food (especially the kangaroo) and the one with the sensitive tummy has had no issues. I feed a mix of wet and dry food and my boys have great coats, bright eyes and look healthy. They also love the fish skin and while fish treats and I feel I am feeding them as natural a feed as I can. Very happy dogs!! My dog was put on this as a result of allergies. The service from ordering to delivery is excellent. Alfie absolutely loves this and is desperate for meal times! My crossbreed and beddy whippet have been on Akela for years. We have occasionally tried other foods (a fair few over the years) and usually when I have forgotten to order - delivery is fabulously quick though. Akela 80/20 is a fab food though, they adore it and do very well on it. A top notch food at a very reasonable price. My 5 year old German Shepherd is fussy and has a sensitive digestion. She has been on other 80/20s for almost 4 years - they were OK but she wasn't enthusiastic about eating. I changed to Akela and bingo, she loves it. She sits by the food bucket waiting for dinner! Nutritionally it's excellent and she has a very shiny coat, cold nose and perfect poo's! I buy 3 at a time, so great value. I have tried her on all flavours and she loves duck the best. The service is quick. My only comment is the packaging (box) used for delivery is not strong enough when 3 x 12KG are delivered in the same box. The bags of food are always OK but a stronger box would be welcomed! I switched from a raw diet to Akela due to a family member having a compromised immune system. The food is excellent, no grains or fillers. My two working cockers love it and they are fit and well, with bright shiny coats. They are full of energy and I could not wish for a better food. I switched our 4 month old lab on to the fish based dry food. He had been very itchy and smelly! He loves the food and his itching stopped very quickly! He's also much less stinky! Our Gokden Retriever puppy is now 7 months old and has been fed in Akela since being weaned. 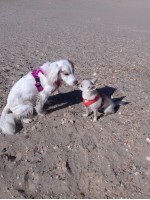 It was recommended by the breeder so we continued and both Reggie and we love it (well Reggie loves the food and we love the quality, service and price!). Would recommend unequivocally to anyone. We've tried Akela Original and Akela Fish. My 6y old Weimaraner loves both. I prefer to give him the Akela Fish as he has had always a sensitive tummy and it suits him better. Excellent quality food and good value for money. I order online (usually 3 bags each time as it's cheaper this way). Good delivery service as well. Always searched for the best quality food for my dog and started with dry food. Bella eat the food eventually but was never very fussed. Tried other top quality wet food but she still wasn't keen. Then I found Akela. She loves the Akela wet food even when mixed with the dry and gets excited at meal times. So happy to have found this food and the delivery and customer service are excellent. 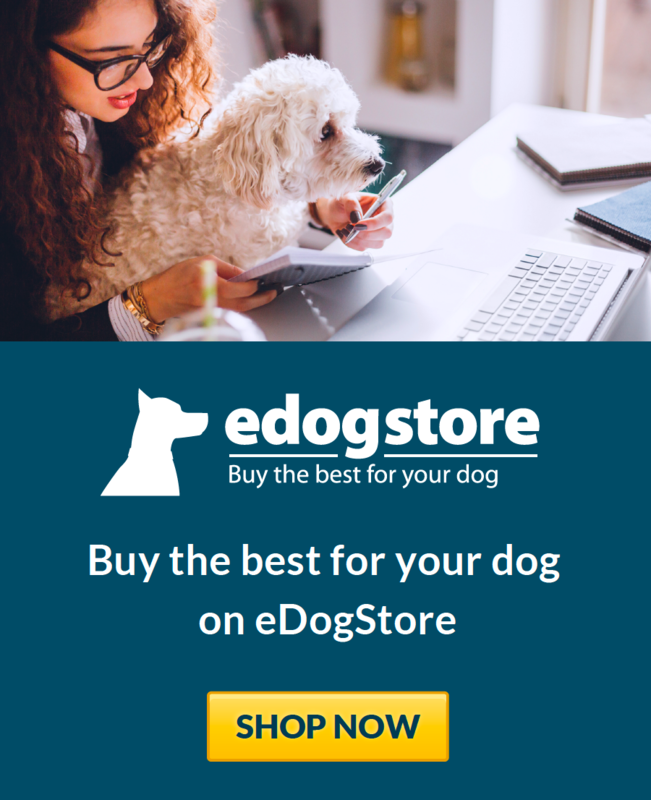 Researched the best dog food for our cocker spaniel as he used to just pick at his food since being a puppy despite trying him on a number of different brands, and decided to try Akela samples based on reviews and nutritional content. From the first sample pack we could see he loved it, and we very quickly ordered a full size bag. He has been on Akela food for about 4 months now and he loves it, coat is shiny, abundance of energy. the food is great value, and delivery very quick. Will definitely be sticking with Akela food. 8 rescue huskies of all ages ranging from 9months to 9 years. As a working team we need something that will keep them all in the best condition and give them the energy they need to run in harness competitively. Ours settled onto this food very easily, even mixing in with their old food they started picking out the Akela and leaving the old stuff! They are all doing very well in early season training and hopefully we will have some good results this season to prove it. I'm so chuffed to have found Akela. We have a young working lab who has always been fussy about her food and it's been hard to keep her weight up. Since finding Akela, she loves mealtime, has gained weight and her coat is much shinier - we're very happy. Either Original or Duck goes down a treat and ordering is easy and it arrives on time. Thank you Akela! We recently got two new Cavachon Pups, and after extensive research into diet etc we decided that Akela 80/20 was the best choice by some way. It was definitely the right decision, our dogs love it, the price is right and the service from ordering to delivering is first class. We have given our Dogs, what we consider to be the very best start in life and we look forward to many years of good feeding habits with Akela. I would highly recommend the products, your Dog deserves the best. Over the years we've tried various foods with our dogs and not really found anything that's both nutritious, grain free and our dogs enjoy. It was always two of the three but not all three. Usually we'd need to add a taste supplement for the dog to actually eat it. Even then it felt like they were only eating after giving up hope on anything else being offered to them. We tried Akela Whole Prey with our current dog, a Bouvier des Flandres, to see if we could get her on a healthier whole prey diet without any grain - we'd tried most of the other options. She loves the 80:20 Suffolk Duck. We even use it as a training treat as she enjoys it so much. We did also try both the Chicken and Lamb teasers which she'll do pretty much anything for! We also sometimes add the Salmon oil, as she's not keen on the Fish Feast as much as the Suffolk Duck. As the contents are higher quality, she's not eating huge quantities to fill her up either so it works out fairly economical. I'd certainly recommend this for owners of large breed, working stock dogs. Recommended by breeder we eventually got around to trying with our Parsons after eighteen months. Great value for the best quality food - and he loves it!! Cannot recommend enough. I have an incredibly picky Jack-Chi and she will not eat anything except Akela wet food original (except chicken, cheese and most things she finds on the floor!) we were lucky enough to discover Akela at Bakewell 'Dogs Unleashed' event where they gave us a sample tin. Thank you Akela! Our Border Collie developed an allergy. After vets recommended science menu foods we read so many blogs and information pages I happened upon your site. Fabulous recommendations which I followed and we changed to the duck 80/20 diet. Expensive but you don't feed much. Now Reggie has the most gorgeous deep red coat and no itching. His small sister has gone on to the small paws variety and she too loves it...even being the picky eater she was. Dried food. No waste and both tummy and skin are spot on! Thank you. I have a small Cockapoo who came to use on a poor quality dog food witch was all he knew. Through my own slow research I ended up trying him on 2 other foods which he completely rejected before, finally finding Akela and we haven't looked back sins. He has gone form not eating more than a few mouth full a day to completely clean bowls every time. He also loves the range of meat based treats Akela do as well. Could not be happier I have a happy health 9 month old puppy now and could not recommend them enough. Akela WholePrey dog food has been excellent. We are very satisfied with the product the quality of the ingredients they use making it very nutritious for our dog charlie. Not only is it really good for him he seems to love it. We were surprised how reasonable the food was considering the quality it was not more expensive compared to other brands of a high quality. When we found out we were moving to Singapore we instantly asked the company if they export and we promptly got a response saying that they just had sent it out. Furthermore they gave us the details of the store selling it. It is very comforting to know that when everything is going to be new and strange for Charlie when we move he can still have the same food. Couldn't be happier with the company!! We love for our Shih szhu Akela Fish Small Paws. However, since our dog is quite a small dog, and we would like to sometime mix with something else than fish food, the big bags in which the food is being delivered are too big for us to store. Our dog thus wishes for smaller (half the size of what we have bought) units. We live in DK, and this means that there is no local store, where we can buy the very good dogs food.